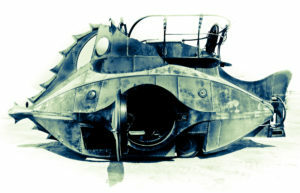 The Nautilus project is an artistic experiment and collaboration between Christopher Bently, Sean Orlando and the Five Ton Crane Arts Group. 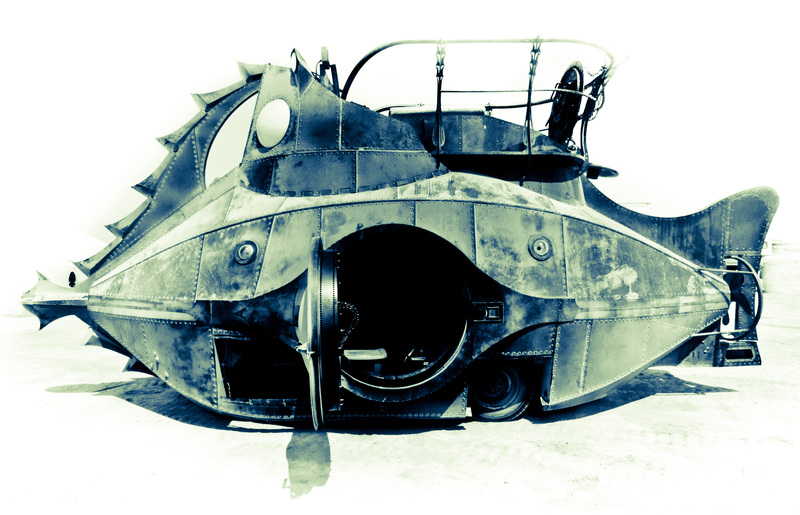 The Nautilus is a land-based submarine art car weighing in at 11,000 pounds (dry) with a top speed of 13 mph. The base vehicle is a 2005 Eagle TT8 diesel AWD airport tow tractor, designed to tow 90,000 lbs airplanes.